Last year, fungi foragers were spoilt. From early September through to November, the most delicious of all wild fungi, Ceps, were abundant. I had never known such a year. A walk out into my normal hunting grounds would herald bumper harvests of this most prized of fungi. I was abroad for the first two weeks of September this year and was keen to get back, expecting a repeat performance of last year. I was, however, disappointed; very little fungi action was out there. September blew cold but October beckoned. I have made several foraging forays out during this month but can’t find Ceps, not for love nor money. Other fungi, yes; Hedgehog fungus, Horn of Plenty and the odd Chanterelle, but no Ceps. As the month has gone on I have become increasingly concerned that this may be my first Cep-free year for a long time. 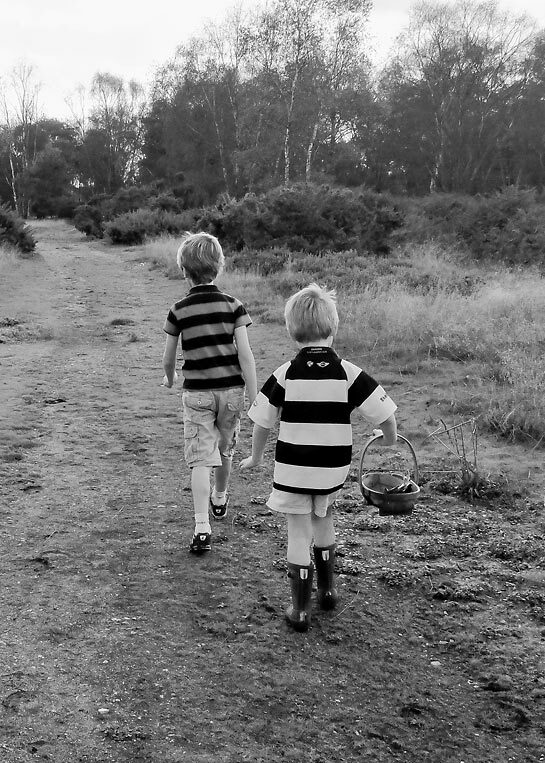 A last trip, thinly disguised as a family walk this Sunday, had me, my wife and two sons scouring our local heath and pine woods looking for Ceps. We found a few Bay Boletus, two lovely Parasol Mushrooms, but still no Ceps until, at last, on the way back to the car – spurred on with the bribe of 50p – my five year old son Joshua shrieked with delight upon finding a rather sorry looking specimen, cap half insect-nibbled by their nemesis – slugs. It was a Cep all the same, and too good to waste on slugs. Carefully harvested, I took it back to the car somewhat relieved. On our way home my wife suggested that we stop by a green where there are two fine old Sweet Chestnut trees, to check for nuts. When we got there, we could see three older gentlemen filling bags of them. They seemed pleased that we had joined them, for there were more than enough go around. 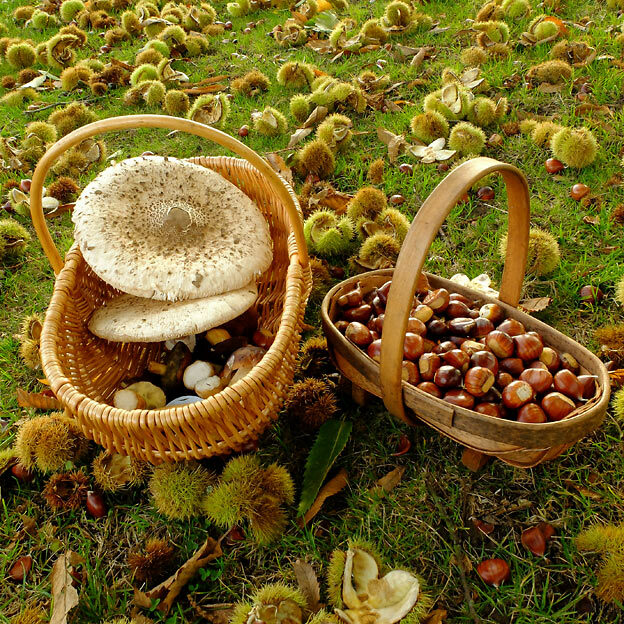 One explained that he had visited these trees for over thirty years, and that this year the nuts were the biggest and most abundant he had ever seen. The previous night’s wind had brought the crop down, and we chanced upon nature’s harvest at just the right time. This is the reason I love to forage. It is these unexpected moments that always delight. 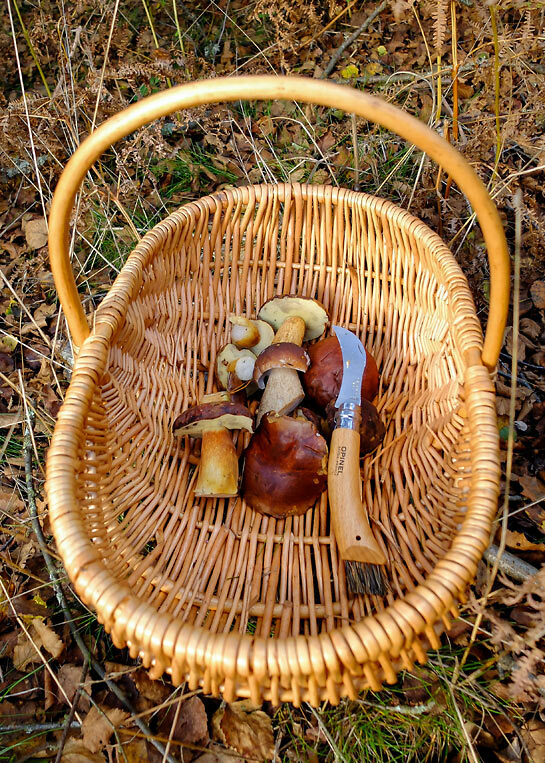 Few things are certain in the foraging calendar, except one thing: October won’t let you down. Always forage responsibly. Leave more than you take, only harvest what you need, adhere to the Code of Conduct for the conservation and enjoyment of wild plants, and most importantly of all, never pick any wild plant or fungi unless you can 100% guarantee that you have correctly identified it.